You’ve decided to sell your car and now it’s time to put it up for sale and advertise it. It may seem like selling a car is easy (and sometimes it is) but if you want to get the most for your vehicle and sell it quickly, your ad should be effective and do its job of selling the car for you. Here’s a guide on how to construct a great ad to sell your car or truck. First, make sure you’ve gathered up all the information about your car that will help you sell it. We have a great article here about how to gather information and how to price your car that you should read. When you do this, you’ll have all the information that you need to sell it. People might ask you questions about the car and you’ll have all that information ready, like a good salesperson. Pricing the car is important, too – so be sure to read that article! After you’ve washed and detailed your car, you’ll need good pictures and maybe a quick video. Buying a car is a bit emotional. You want people to be able to picture themselves in your vehicle, so make it as appealing as possible. Even things like a little air freshener in the car is a good idea. Small details can go a long way when selling a car. Spend a few hours cleaning it and you could get hundreds more. Do a short writeup for your ad explaining the vehicle. Ask someone to proof read it and give you suggestions. It shouldn’t take long to do this. More about this in a minute. Here, you have two methods: online and offline. You should be using both to try to find a buyer. There’s only a certain percentage of people out there looking for a new car and only a certain percentage of them looking for a car like yours. The more places you advertise your car, the better chance you have of connecting with a buyer. Park the car in a place that gets a lot of traffic passing by it. Park it in a good neighborhood. You might just want to park it there during the day and pick it up at night and drive it home. Make sure it’s legal for you to park the car where you plan to park it. If in a parking lot, then get permission from the property owner so that you car does not get towed away. Don’t park it in the same place too long. When you see a car for sale in the same place all the time, you start to wonder why it’s not selling and what’s wrong with it. People who were maybe interested in it won’t be interested in it if they see it there a long time. Either way, keep the car in good shape / clean. Have a sign on it that gives people information. If you have a website for your car, then list how to get to it. Make sure your phone number is on it along with the price, year of the car and mileage. You’ll get the most exposure for your vehicle when placing an ad online – for sure. That’s where people look today… they can look at new cars sitting on their couch watching TV or something. The most obvious place to post your car ad is on Craig’s List. Beware of the downfalls of posting on Craig’s List. The ad is free though. Post your ad on a Friday since most people will be looking Friday, Saturday and Sunday. Another good place is AutoTrader.com and websites like that. You’ll pay money for the ad but they do a bit of advertising on TV and radio, so they have quite a bit of traffic on their website. Make your ad good and price your car competitively and you’ll get a lot of ad views. They have different ad packages you can choose from. Most people will choose the kind of ad that keeps running until the car sells. That’s a good package. If you’re confident that your car is going to sell very quickly, then you can save a few bucks by choosing a less expensive ad package (ads that run for a shorter time). That’s the absolute least amount to list but to make an effective ad, you’ll want to list more information to help buyers. If you know the trim package of your car, then definitely include that. For example, a Honda Accord will have a DX or EX package (leather, alloy wheels, etc.). People who are looking for that car will know which package they want and will be doing searches for that package. If you have the package they want, then your vehicle will have a better chance of showing up for that search if you list the trim package. Do what you can to make people want to contact you to see the vehicle. Write what you like most about the car. Explain why you’re selling it because people will want to know. List what maintenance you’ve had done to the car and what the mileage was when the work was done. List what might need to be done soon. Honesty goes a long way. If the car gets good gas mileage, then be sure to list that as a selling point. Gas ain’t cheap. If there’s low mileage, then make a big deal about it and explain why. Was it a weekend driver or just out in the summer? If there’s high mileage, then explain where the car was driven if that is an advantage. Did you take big trips? Is your commute to work on highways? Is there any warranty left? If so, be sure to point that out. List how you’ll take payment. Again, have someone else proof your ad. Do spell check on your ad. An ad that has spelling and grammar mistakes won’t look good – you’ll either have less people interested in your car or the perceived value of the car might be less. You don’t see a lot of professional ads with spelling mistakes. Hopefully, you took a lot of pictures. The main picture for the ad should be your best photo – the one with the best lighting and the one that makes your car look its best. This picture is going to be the first impression, so make it good. Make sure you post pictures of all four tires. People will want to see how they look so be sure to show how much tread is left on them. Buying a safe car is important and tires are a part of that equation. 5. The Headline is What it’s All About! The headline for your ad is very important – maybe more important than you think. It’s the difference between people clicking into your ad or not. It’s HUGE! Make sure you write it correctly. What this means is that you first make your writing (ad) get attention, from there, create interest then desire. After that, ask the reader to take action. You should use this formula when writing your car’s ad. The headline, then, is where you need to make sure your ad gets attention and stands out. You’ll Kick Yourself if You Don’t Look at this Car! Don’t Miss This One – LOOK At It Now! I Can’t Believe I’m Selling It – It Won’t Last Long! You also want to create some urgency. Try to suggest that the car won’t last long – that it’s something people don’t want to miss. I like to capitalize the first letter of every word. Don’t be annoying and use all caps on all words – maybe 1-2 words at the most. If you use all capital letters, then you’re essentially yelling and that’s a bit rude. Also, sometimes you see people write “LQQK” as if the “QQ” there are like eyes. That’s cute and all but “lqqk” isn’t a word. I never do this. 6. Should You Buy Online Ad Upgrades? People wonder if they should buy the highlighted or bold ad or the one with more pictures. It depends. An easy way to determine this is to check how many other ads come up in a search when you do a search for your kind of car. If a lot (15 or more maybe) show up, then you might want to consider buying an ad package where your listing shows up first. I like to at least buy a bold ad. This gives your ad at least a little more attention. 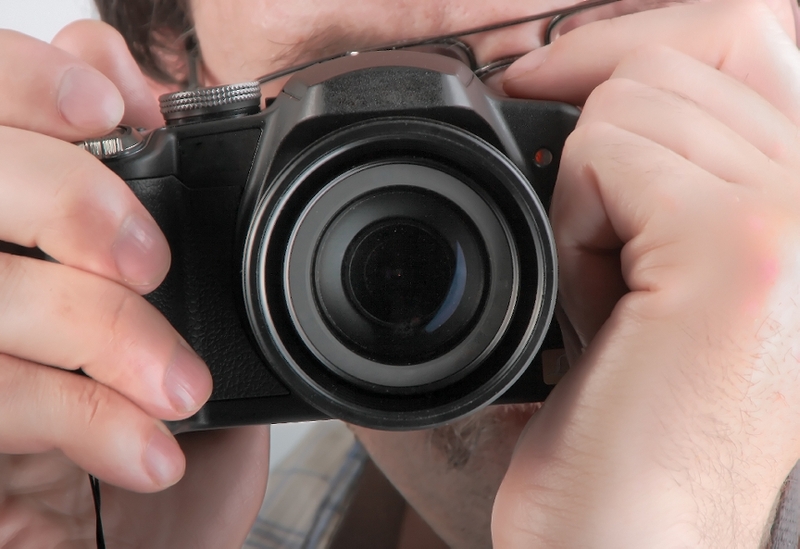 Let’s review… first, you gathered information about your vehicle, you got the car ready and then took pictures so that you had everything you needed for your ads. Next, you decided on whether to sell the car online, offline or both. Next, you created your online ad listing all the features, created a good writeup and then topped it all off with an attention getting headline. There you go – that’s what you need to have an effective used car ad to sell your vehicle. My general rule of thumb is that you get out of something what you put into it. If you do all this work just half-way, then you won’t make as much on your car or it’ll take a long time to sell. Do all of this the best you can and you have it made in the shade! Thanks for reading – please browse more articles here on this website. You can leave comments below, too. Don’t forget to share this article with others. 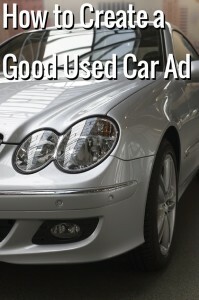 This entry was posted in Car Selling Tips and tagged advertising a car, autotrader, car ad tips, car classified ad template, create a used car ad, how to create an effective car ad, how to sell a car, online advertising, online car advertising by TC. Bookmark the permalink.